The high-end camera world is in the middle of a revolution. Longtime DSLR makers Canon and Nikon recently jumped on the full-frame mirrorless bandwagon with the new EOS R and Z series systems, with Panasonic joining the party soon with the new Lumix S1 and S1R. Meanwhile, Olympus is taking the road less traveled by. 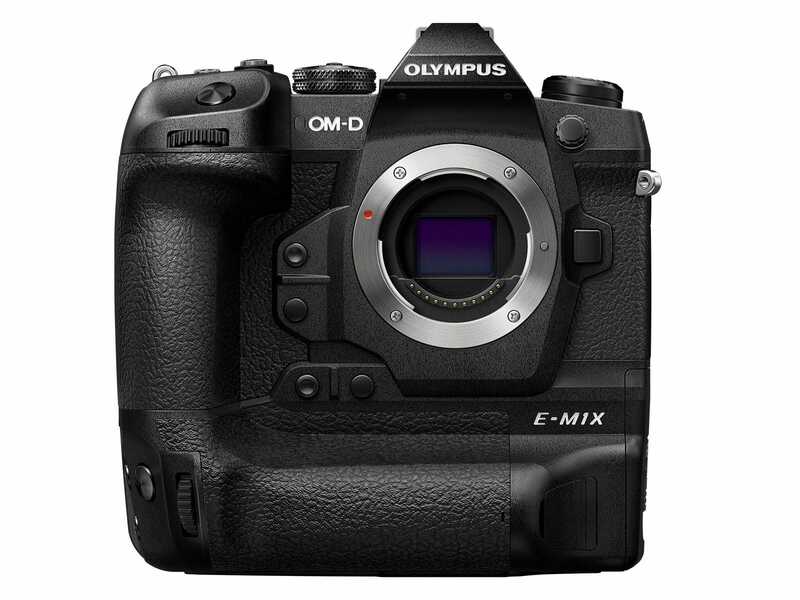 Despite every other company’s rush to create full-frame mirrorless cams, Olympus is sticking with Micro Four Thirds, both now on the new OM-D E-1MX, and in the future. While careful not to call the E-M1X its next flagship camera (which seems reserved for the E-M1 Mark III or whatever comes next), Olympus hopes its new camera will highlight some of the advantages the Micro Four Thirds Platform has to offer, namely speed, size, and durability. Featuring a 20.4-MP sensor and dual TruePic VIII image processors, the E-M1X promises near-instant startup times and shooting speeds up to 60 fps (with locked focus), or 18 fps with AF and exposure tracking turned on. That’s a good deal faster than the 8-10 fps burst speeds you get on many equivalent DSLRs or full-frame mirrorless cams. The dual image processors also help expand camera’s image buffer, which let Olympus increase the number of pics saved before you even tap the shutter in Pro Capture mode to 35 frames. Olympus claims the E-M1X’s reliability has also improved thanks to a new coating on the sensor that removes dust 10 percent better than before, better thermal management to prevent overheating while filming video, and a shutter that’s rated to withstand 400,000 exposures (typical cameras tend to sit around 250,000 to 300,000). The size improvements, at least on the E-M1X, are a little less clear though. That’s because despite Micro Four Thirds sensors being nearly four times smaller than a full-frame sensor, thanks to its built-in vertical grip, the E-M1X is noticeably larger than the E-M1 Mark II. However, for a sports photographer or just someone who needs to switch between portrait and landscape shots frequently, the E-M1X’s new grip could be a big plus. 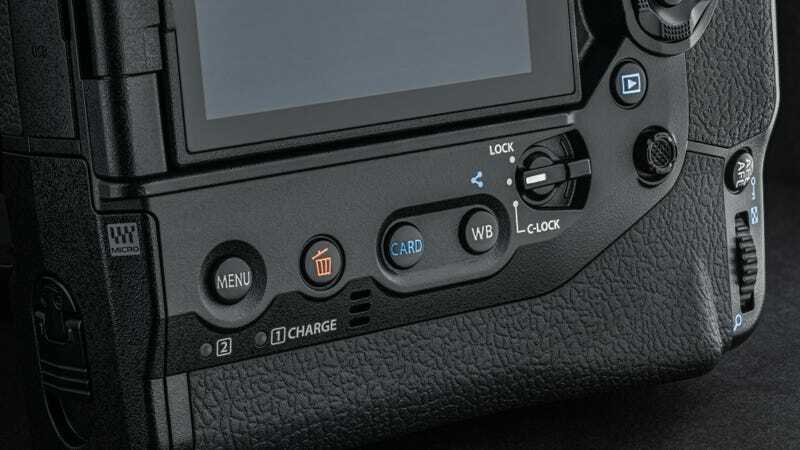 Olympus redesigned the E-M1x’s buttons so that it offers similar layouts no matter which way you hold it, including the addition of a second multi-selection nub so you always have an easy way to adjust your focus point. The enlarged grip also leaves room for a second battery, which doubles the E-M1x’s battery life from around 350 up to 870 shots. 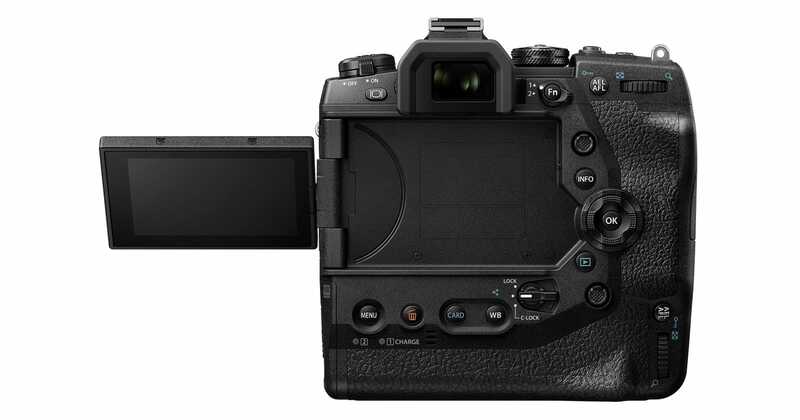 The E-M1X last major upgrades are its new LCD viewfinder, which Olympus says was specifically chosen for its 120Hz refresh rate, and an improved image stabilisation systems that provides 7 stops worth of compensation, up from 5.5 stops on the E-M1 Mark II. Elsewhere, some of the E-M1X’s more niche upgrades include a new sensor for embedding GPS data into a picture’s metadata, a better anti-flicker feature for when you’re shooting under LED lights, and a feature called Live ND, which combines multiple shots to create bright-light long exposure shots without the need for a physical ND filter. And to really hit home that Olympus isn’t giving up on Micro Four Thirds, the company also announced three new flashes and the development of a new 150-400mm f/4.5 zoom camera and 2x teleconverter for all the Micro Four Thirds sports and wildlife photogs out there. So is this the camera that keeps camera nerds from lusting for full-frame camera glory? Probably not, but maybe that’s OK since this isn’t really a camera for everyone. But even just the way Olympus continues on a notably different path for camera advancement is notable. 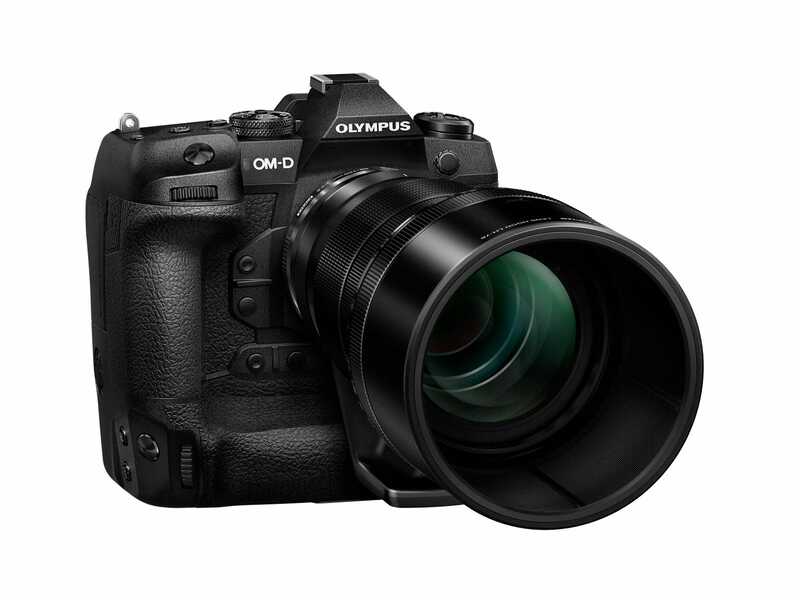 The Olympus OM-D E-M1X will be available starting in late February for £2,800 (body only).